Arsenal will need to put another turbulent week behind them when we take on Brighton at the Amex Stadium this afternoon. Thursday’s 3-0 defeat to Man City was a new low and it’s piled the pressure on Arsene Wenger to finally walk away from the club this summer.It’s certainly difficult to see him holding on after such a disastrous campaign. Our chances of finishing in the top four are realistically over as both Tottenham and Liverpool won yesterday meaning we are now a whopping 13 points adrift. Even if we win today, the deficit would be 10 points with just 9 games remaining so it’s virtually impossible to see us making up the difference – especially given the poor form we’re in. The focus should now be on the Europa League but we desperately need to head to Italy on Thursday night off the back of a win and not another defeat. Wilshere is set to return to the squad after resuming full training yesterday having missed the defeat to City on Thursday night with a minor groin problem. However, Monreal remains on the sidelines with a back injury while Lacazette is still working his way back from knee surgery so they stay remain out along with Cazorla. As for Brighton, they have no fresh injury worries to contend with as Skalak is back in the squad meaning Sidewell is their only absentee. I’ve seen suggestions that Wenger should rest our key players for the AC Milan game. I do agree to an extent but the confidence is rock bottom and the players need to go in to the Milan game off the back of a morale-booting win so I’d play our best side. The one big change I’d make to the team is to bring Elneny in for Xhaka. I just don’t see what Granit brings to the team as he’s not a defensive midfielder, not a box-to-box midfielder and he’s not an attacking midfielder….so what is he?! 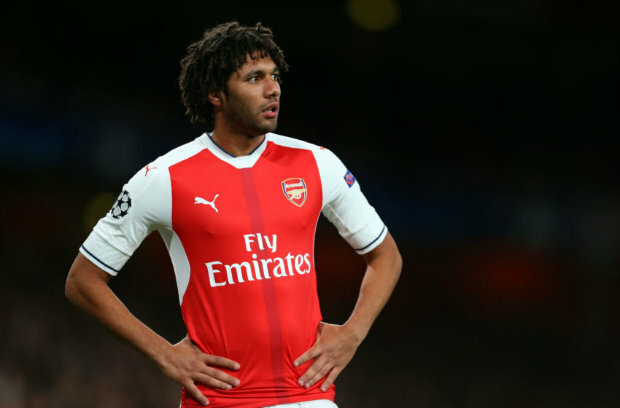 For me, the team would be far more balanced – especially away from home – if Elneny was told to sit in front of the defence with Wilshere and Ramsey ahead of him. Arsenal have an excellent record against newly-promoted sides so that should give us at least some confidence heading in to this game. It will be interesting to see how the players respond to Thursday’s defeat. To be honest, some don’t look like they’re playing for Wenger anymore but they need to show some pride. Our away form has been atrocious this season so I’m not holding out too much hope of a top class performance but hopefully we can grind out a win. I’m going for 2-1 Arsenal. New Customers can get Arsenal at an enhanced 25/1 to beat Brighton . Max Stake £1. Winnings paid in free bets. Full T&Cs Apply. 18+|Gamble Aware.